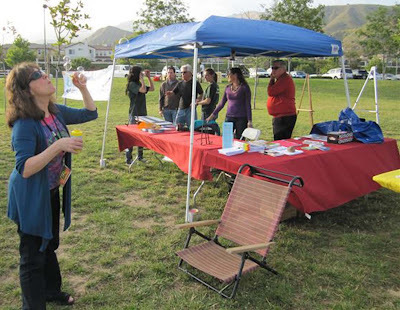 Willard Simms, member of The Museum's Board, sends these photographs taken at "Movie Night" this last Saturday in Northridge. The event was sponsored by Los Angeles City Councilman Greig Smith, the City of Los Angeles Department of Cultural Affairs and The Museum of the San Fernando Valley. Rania Pallad, Treasurer of The Museum, blows welcoming bubbles to let the children attending Movie Night, to The Museum's "coloring station." 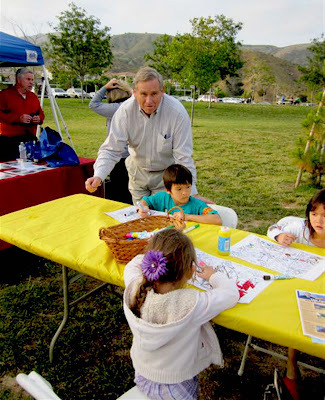 Kids were provided crayons and cartoon maps of the San Fernando Valley. (click on image to enlarge). Los Angeles City Councilman Greig Smith observes children before Movie Night at The Museum's "coloring station." 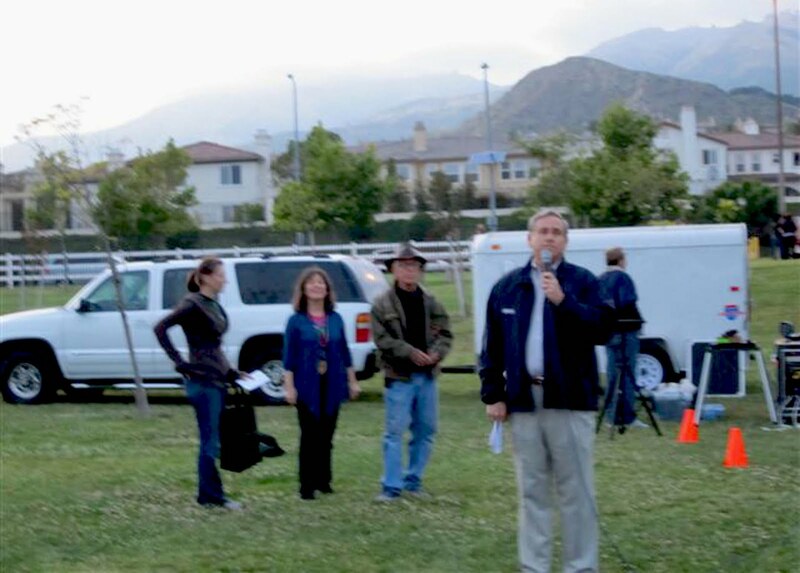 In the back ground, in red shirt, is Museum Board Member Richard Hilton, director of The Museum's tour programs. A warm welcome. on a chilly night, to Movie Night by Councilman Smith and Museum leaders. Scott Sterling, Chairman of The Public Arts Committee, and Narrating Lives (Oral Histories of the San Fernando Valley), welcomes families at Movie Night. 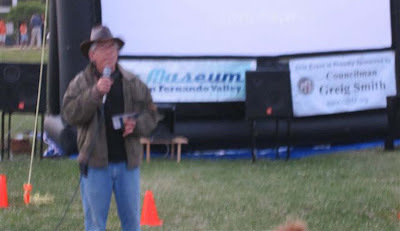 Sterling, owner of Sterling Construction in Northridge, leads the very successful effort by The Museum Community to secure the histories of Valley residents for future generations.